Automated driving is a key component of Ford's Blueprint for Mobility, which outlines what transportation will look like in 2025 and beyond, along with the technologies, business models and partnerships needed to get there. 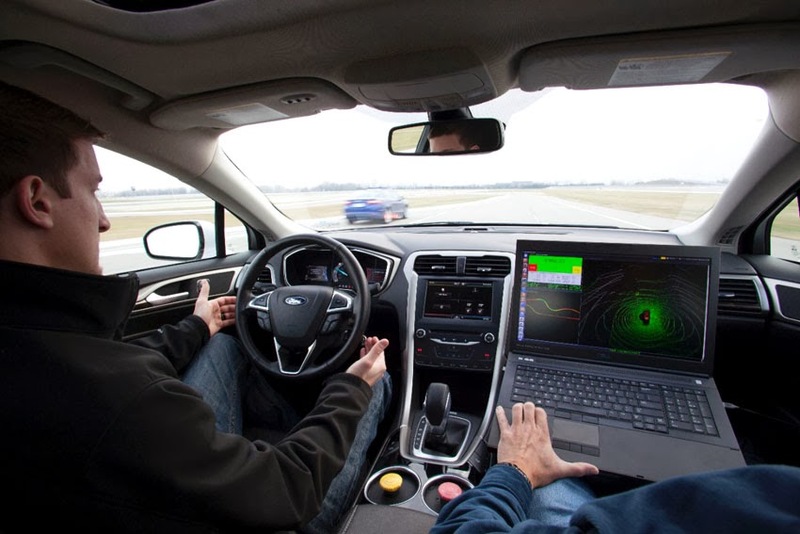 With its automated Fusion Hybrid research vehicle, Ford is exploring potential solutions for the longer-term societal, legislative and technological issues posed by a future of fully automated driving. "To deliver on our vision for the future of mobility, we need to work with many new partners across the public and private sectors, and we need to start today," said Paul Mascarenas, Chief Technical Officer and Vice-President, Ford Research and Innovation. "Working with university partners like MIT and Stanford enables us to address some of the longer-term challenges surrounding automated driving while exploring more near-term solutions for delivering an even safer and more efficient driving experience." "Our goal is to provide the vehicle with common sense," said Greg Stevens, Global Manager for Driver Assistance and Active Safety, Ford Research and Innovation. "Drivers are good at using the cues around them to predict what will happen next, and they know that what you can't see is often as important as what you can see. Our goal in working with MIT and Stanford is to bring a similar type of intuition to the vehicle."